Lumineers after the installation. 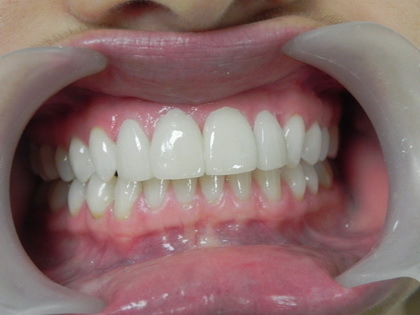 Our Cancun dentist installed four Lumineers on the upper front to address the gap. Politics aside, don’t you think Vice President Joe Biden’s teeth are too white? Whether they are real or not is probably a matter of Secret Service.